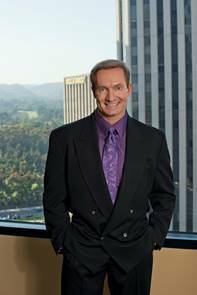 With more than 20 years of experience,Tre Lovell has been noted among the elite trial lawyers in the nation, having been named “Lawyer of the Year” Finalist, 2016, by the Los Angeles Business Journal, and further honored by The National Law Journal as one of the Top 50 Litigation Trailblazers in the United States. Mr. Lovell has been recognized among the top 1% of attorneys in the country as a litigator through such esteemed organizations as the Distinguished Justice Advocates, National Academy of Jurisprudence, Multi-Million Dollar Advocates Forum and Rue’s Best Attorneys of America. In addition, Mr. Lovell was awarded the Litigator Award for two years in a row (2014-2015) by the Trial Lawyers Board of Regents for extraordinary litigation achievement, an award given to less than 1% of attorneys in the U.S. and to approximately only 12 firms per state each year. Mr. Lovell serves as Global Law Experts’ exclusive representative expert from California for litigation, and has received additional accolades for business and entertainment law from such organizations as Corporate LiveWire, Acquisition International and Acquisition Finance Magazine. 2014 Litigator Award For Extraordinary Litigation Achievement – Trial Lawyers Board of Regents – Less than 1% of All Attorneys Awarded. Tre Lovell practices in the areas of business law, corporate law, entertainment law, intellectual property law, employment law and general civil litigation. His clientele varies from individuals to high-profile companies in Los Angeles, the United States and international jurisdictions. Tre Lovell is licensed in both California and Nevada. In addition to practicing law, he is a national gold medal champion and former black belt instructor in the martial arts.